Every Thanksgiving should start off with some delicious appetizers that don’t leave family & friends too full to devour a plate of turkey and side dishes. Try some of these light appetizer ideas to whet your guests’ appetites for Thanksgiving dinner. Place them on a baking sheet and bake for 90 minutes. This light spread can be easily applied to slices of bread or crackers. 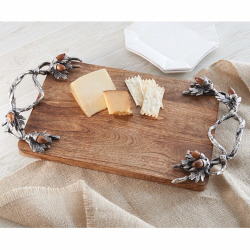 Present them to your guests on this lovely Sagamore Bay Acorn Serving Board. It’s spacious enough to hold an array of finger foods and it’s very easy to hold thanks to its one of a kind oak leaf and acorn cluster handles. Preheat the oven to 425 degrees. Heat up your onions in a pan coated with cooking spray. Saute them for 5 minutes with frequent stirring. Lower the heat and let them cook for 20 minutes. 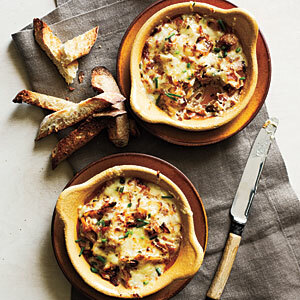 Combine your cheese with the caramelized onions and other ingredients in a bowl. Put this mixture in a baking dish and bake for 20 minutes. Mix the ingredients in a bowl. 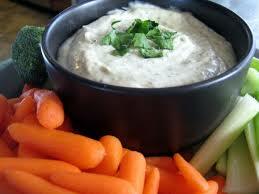 Serve with carrots, cauliflower, bread slices and crackers. 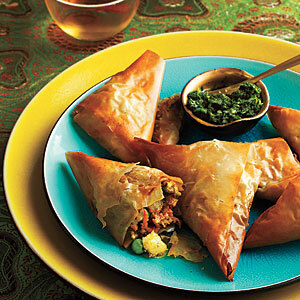 Vegetable samosas will be the perfect light Thanksgiving appetizer. They should be served at room temperature with mint chutney. 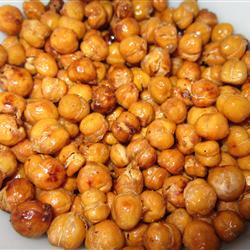 Although this appetizer takes a bit of time to make, its remarkable taste is well worth it. Mix these ingredients, cover and place in the refrigerator. Preheat your oven to 350 degrees. Heat the olive oil in a pan over medium heat. Add the ingredients but for the potatoes. After the other ingredients have warmed up for a few minutes, stir in the potatoes. Then remove the pan from the heat. Spoon a tablespoon worth of your mixture onto a 3 by 14 inch strip of phyllo dough. Fold a corner of the phyllo dough over to create a triangle. Put these triangles with their seams facing down onto a baking sheet. Brush them with a tablespoon of oil and bake for 20 minutes. 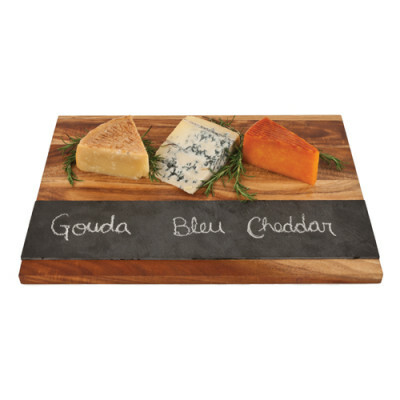 Serve with the chutney on this Wood and Slate Cheeseboard. Your guests will love this tasty light dip. 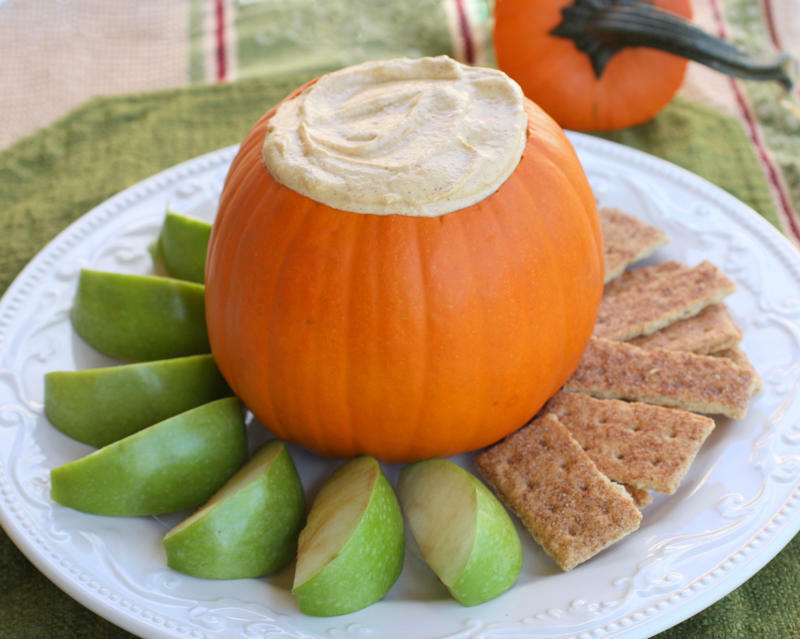 Present a large bowl of your pumpkin dip along with some apple slices on this lovely Scalloped Edge Sandlewood Charger. 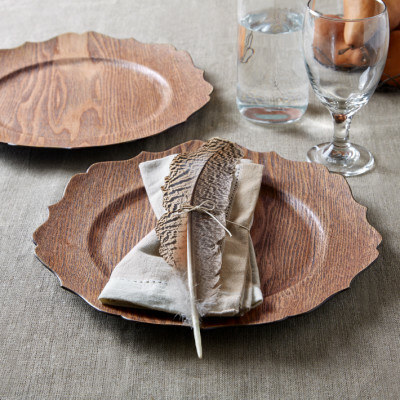 It has a rich wood grain that fits the Thanksgiving season perfectly. Beat the cream cheese, brown sugar and pumpkin together until blended. Add the cinnamon and syrup and stir. Cover the mixture and place it in the refrigerator for half an hour. Present the pumpkin dip with your apple slices at a table with this lovely Bronze Mercury Acorn Pillar Wrap/Wreath. 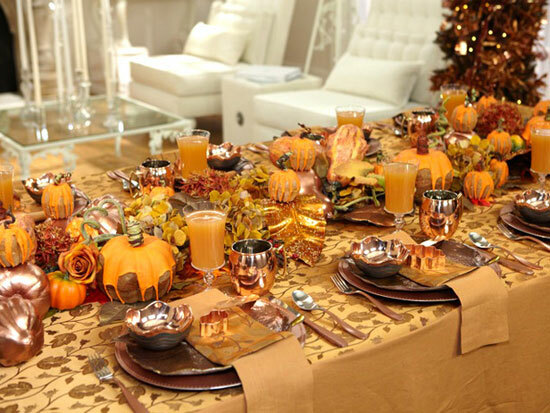 Its unique bronze mercury glass ornaments will serve as the perfect conversation starter while you enjoy your pumpkin dip and anticipate the main course. Each of these light appetizers will set the stage for your Thanksgiving dinner. They’re all delicious but don’t pack the heft of other richer, more bulky starters. No matter which one you pick, you’ll have the perfect transition into your holiday meal.